Professor Emeritus J.E. 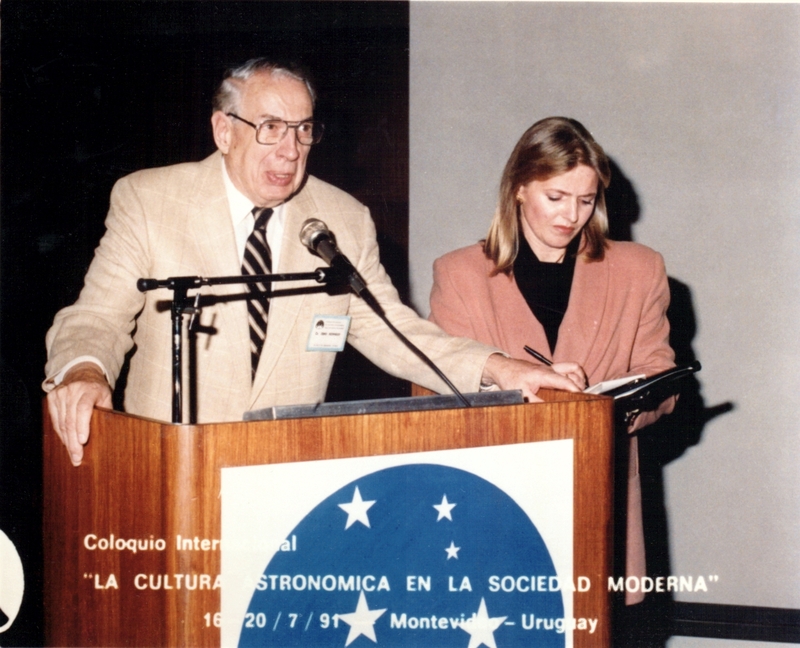 Kennedy at the podium in the lecture theater of the Convention Centre, Montevideo, Uruguay, participating in the official opening ceremonies of the International Colloquium on the Astronomical Culture in Modern Society on July 16th, 1991. Claude Hareau de Estrada, on his left, served as the official English-Spanish translator. Photo courtesy of Carol Blenkin. This photo was published in the December 1991 issue of the Bulletin.